Most of the time the boundary description of medieval plots and land is given in relation to its situation neighbouring plots and roads or streams or some such boundaries. 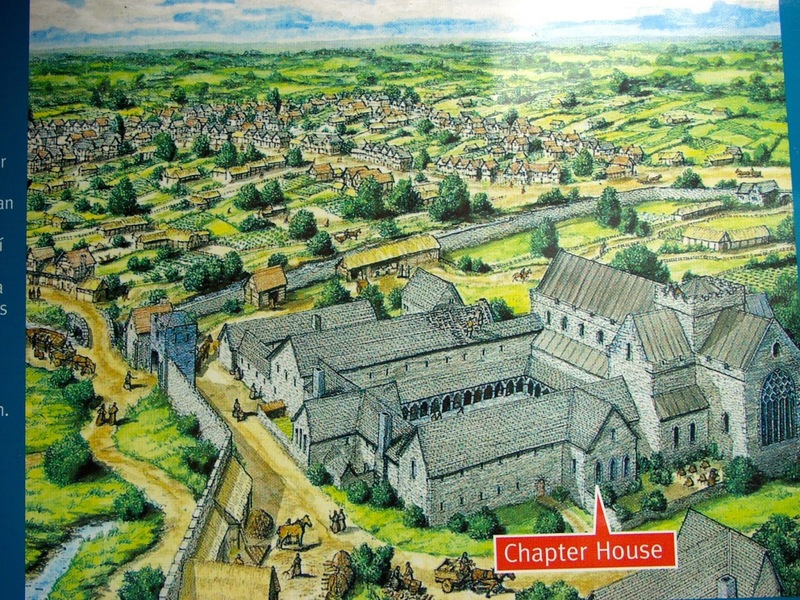 A messuage of Nicholas Kedy at Thomastown, Co. Kilkenny, in 1318 was described as in length from Market Street on the west to the common gutter on the east and between the messuage that previously belonged to Cecilia la Rede on the north and that of the messuage of Alexander Pedeleure on the south. It is difficult to known exactly how big this messuage of Nicholas Kedy actually was as the boundaries between the messuages that were known to the medievalists are difficult to find on the modern map without knowing where actually the three messuages were situated. But, in rare moments, the Calendar of Ormond Deeds gives clear measurements that allow us to get some idea of the size of a plot or messuage. In June 1318 William Faber of Ostmantown and Luica his wife (daughter of Richard Frapesan) gave a plot of land in Ostmantown to Robert de Assheburn, citizen of Dublin. This Robert de Assheburn was possibly the same Robert who in 1272-3 was provost of Dublin. It is difficult to follow William Faber in other manuscript collections. The name Faber means a smith and people in many places are named Faber or Smith as a description of their occupation or that of their parents without knowing if any of these were the William Faber of Ostmantown. Meanwhile the Ostmantown plot of 1318 was given the usual geographical description as lying between the land of John de Leycestre on the north and the street on the south which leads to St. Mary’s abbey and between an unnamed street on the west to John Sampson’s land on the east. All the usual description but then the scribe said that the plot measured twenty-six feet at its frontage and twenty-eight feet at the rear. Unfortunately it is unclear if the frontage was located on the street to the abbey or on the unnamed street. 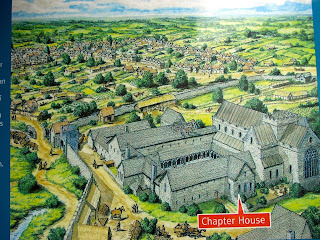 Yet it is possible that William Faber of 1318 was a relation of Henry Faber, son of William Palmer, who in 1261 acquired land from the monks of St. Mary’s abbey which Roger de Assheburn, mayor of Dublin, had delivered to the abbey because the previous holder, Geoffrey de Trivers refused to pay landgable on it. Roger de Assheburn was mayor of Dublin in 1261, 1262, 1263 and 1271. It is possible that the John de Leycestre who bounded the Faber plot on the north was the same person who in 1311 witnessed the grant by Thomas of Coventry to Robert Burnel of six warehouses under the new Tholsel in Dublin and was bailiff of the city in the same year. Meanwhile the 1318 Ostmantown plot follows the usual medieval convention where the measurement in the front is not the same as that at the rear or one side of the property is longer than the other. At Ostmantown the plot was twenty-six feet wide in front and twenty-eight feet wide at the rear. If the measurement of the neighbouring plots were known it is possible that one of these could be wider in front than at the rear. It is unfortunate that later scribes of the numerous deeds contained in the Ormond collection did not give measurements for messuages and plots but that’s medieval history research for you – most of the time you only get one brief open window on the past before it closes again.